Give a gift with lots of ‘Awww’ with this stunning chopping board. 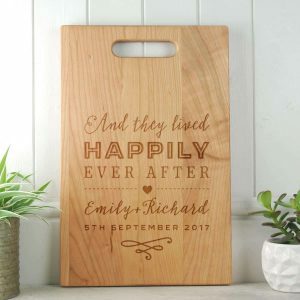 Give a special gift for newly married or recently engaged couple with this stunning cherry wood chopping board. 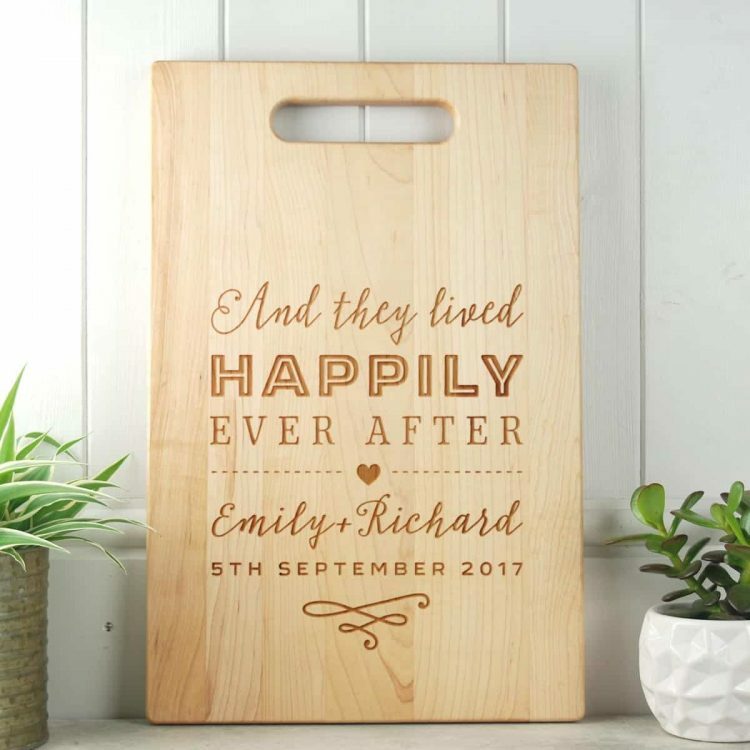 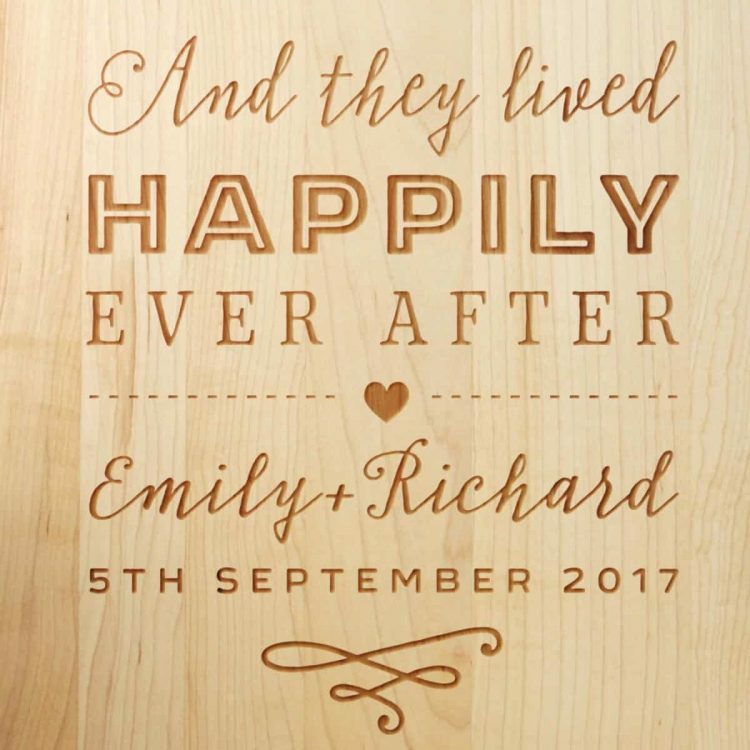 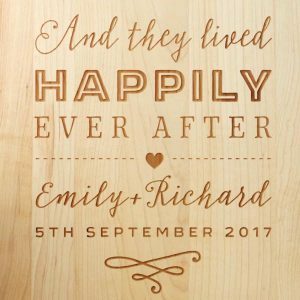 Featuring the phrase “And they lived Happily Ever After” and their names and important date, this chopping board is a great gift and will become a fabulous feature for any kitchen. The engraved side is used for display and the other for cutting.